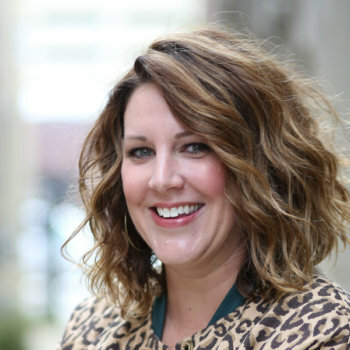 In the competitive Des Moines market, Heather Wright combines client-focused service, innovative marketing techniques, and a decade of experience to make sure that your buying or selling experience is less of a hassle and more of an adventure. Heather Wright’s journey began right here in Iowa—she grew up in Guthrie Center and fell in love with the sense of community that makes the Midwest such a great place to call home. Today, she brings her knowledge (and love) of the area to the table, helping buyers and sellers make the right choices for the current Des Moines market. Her career path began in the corporate world, where she mastered marketing, dispute resolution, and negotiations—three skills that she puts to work every day whether she’s helping you sell your house at top-value or fighting to turn your offer into a sale. If you’ve worked with Heather before, you know one thing: your satisfaction is always at the top of her to-do list. And that’s saying something, because this lady’s got a LOT going on! Your needs come first—and Heather’s always available to answer last-minute budget questions, give you straight-talk about a listing’s issues, or help reassess your timeline (so that you can meet your personal deadlines or slow things down to a more manageable speed). A self-described workaholic, Heather works day and night to make sure her clients are supported throughout the buying or selling process, start to finish. She not only gets award-winning results for her clients, but she also works hard to make the process simple, easy, and stress-free. She’s created a team: Heather Wright & Associates. Since Heather never does things halfway, she enlisted two licensed agents, a team assistant, and a transaction coordinator, which makes her well-rounded team one of the best in the business. Working together, they manage deadlines, paperwork, marketing, tech support, and management—to ensure that you’re taken care of and have constant access to someone with answers (‘cause the housing market never sleeps!). While Heather spends most of her time meeting with buyers and sellers (and keeping Starbucks open with her iced caramel macchiato addiction), she also enjoys reading good fiction and relaxing in front of the TV with her graphic designer husband and the individual who runs their household: their Jack Russell terrier, Murphy.